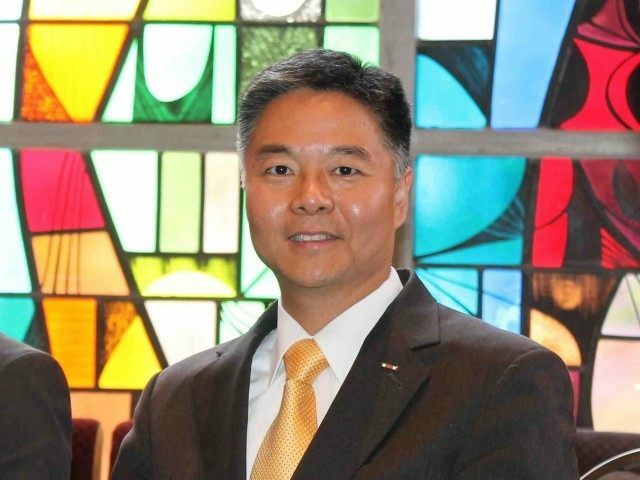 On Sunday, Rep. Ted Lieu (D-CA) falsely labeled President Donald Trump’s refugee travel ban a “Muslim ban” during a press conference at Los Angeles International Airport, where he and other people were protesting. The protests coincided with other similar protests nationally. “This Muslim ban is simply based on bigotry,” Rep. Lieu said, according to local CBS affiliate in Los Angeles. President Trump’s temporary ban targets seven terror-prone states identified by President Barack Obama’s administration, pursuant to the Visa Waiver Program Improvement and Terrorist Travel Prevention Act of 2015, for which Rep. Lieu voted. It does not ban travelers simply for their Islamic faith. The word “Muslim” is not once mentioned in the text of Trump’s temporary ban. The ban does not even cover 87 percent of the world’s Muslims, who largely live in other countries than those affected. Lieu added, “Because when people come and protest, America sees that our president does not have a mandate.” He also referred to the Women’s March which took place the day after Trump’s historic inauguration. As Breitbart News reported last week, Lieu has declared Trump to be “illegitimate” — a statement potentially at odds with his duties as a colonel in the U.S. Air Force Reserves. He also boycotted the inauguration. 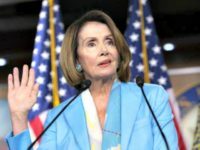 The executive order, signed on Friday, also lowered the ceiling of refugees allowed to enter the United States to 50,000 during the 2017 fiscal year.